Here’s where it starts. This is a reset button. Push it. This little book will set you on your way to big things. Bigger ideas, bigger answers and bigger plans than you've ever had before. About who you are, what you want, what you're doing and where you're going. Thinking big is not just for dreams and fairy tales. Your mind has awesome potential and boundless ambition. How you use that potential will steer and shape your life. Think small and that is the life you will have. Think bigger and you will never limit yourself. Let yourself be unshackled from the busyness of life and all the noisy small stuff. Demolish the barriers of narrow thinking, expand your frontiers and you'll overshoot your current reality by a distance. Whether you have an ambition to be somewhere, a passion for something, an appetite to change direction or a problem to solve, thinking bigger is your route to success. It will grow your ambition, your art, your business or any aspect of your life. Get your imagination and determination flowing. Who knows where you could end up? 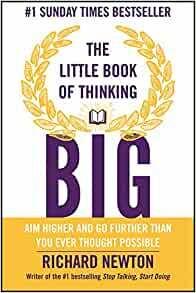 Start reading The Little Book of Thinking Big on your Kindle in under a minute. 5.0 out of 5 starsThis book offers a mental journey with the energy, pace, and impact of a Cirque du Soleil performance. As I sometimes do, I read this book in combination with another, published in 1959: David J. Schwartz's The Magic of Thinking Big: Set Your Goals High...and Then Exceed Them. There are differences between them, of course. (How could there not be?) However, both stress the great importance of personal accountability, of taking ownership of the consequences of one's decision. I agree that we cannot control everything that happens to us but we can control how we respond to whatever happens to us. Also, both David Schwartz and Newton are convinced -- as am I -- that most human limits are self-imposed. This is what Henry Ford had in mind many years ago when observing, "Whether you think you can or think you can't, you're probably right." 1. Swim Don't Float [or Sink]: Keep moving (especially in rough water) and in the right direction. Not all change is progress but no change, no movement, is stagnation. Newton also warns against being carried along by what others think and do. 2. Clear Some (Head) Space: Mental clutter accumulates fast and obstructs and/or distracts focused thinking. F. Scott Fitzgerald once suggested that "the test of a first-rate intelligence is the ability to hold two opposed ideas in mind at the same time and still retain the ability to function." That's two ideas, not several dozen. Whenever I need to clear my mind, I take a brisk walk or listen to Glenn Gould's performance Bach's Goldberg Variations. 3. Feed Your Mind: The human mind really does have a sponge-like capacity that can be increased substantially. I "feed" mine with what I learn from others' minds but, daily, I also concentrate on strengthening certain cognitive skills. Each human life is a work-in-progress, with attitudes and behavior guided by habits. Many people are mentally and/or spiritually anorexic. 4. Notice Things: We tend to see so much but notice so much less. Yogi Berra: "You can observe a lot by just watching." 5. Change Reality (...Don't Deny It): In other words, replace an unacceptable reality with one that is worthy of what you value, perhaps even cherish. 6. Have a Big Ego and a Small Ego: This is a paradox. Newton's comments remind me of Socrates' response when told that he was the wisest man in the world. "If so, it is because all I know is that I know nothing." Only someone with both a big ego and small ego could say that. 7. Know Your Weapon: The term "weapon" has several meanings. Newton's point is that we need to be able to attack but also to defend. Perhaps it is having highly developed inductive and deductive skills or it could be a refusal to remain silent during a moral crisis. 8. Travel Light: No excess mental "baggage." There is much to be said for following lean thinking principles that include constant pruning. What Ernest Hemingway once characterized as "a built-in, shock-proof crap detector" will also come in handy. You get the idea. 9. Twang: Somewhat similar to a "Eureka!" moment. Newton characterizes it as a "click." During more than 20 years of classroom teaching, I could see it in the eyes of certain students: they "got it" when others didn't. Richard Newton provides in this "little book" an abundance of invaluable information, insights, and counsel (his and others') that can help many of those who read the book to "aim higher and go further than [they] ever thought possible." Yes, the material is remarkably informative but also very entertaining. I read it and then re-read it twice before embarking on the composition of this brief commentary. Each time I either learned something new or understood something better. Bravo! A very successful friend recently told me that the secret of his success was that he always thinks big. So when I saw this book I decided to see what tips it might have. I loved this book. It is easy to read and jammed packed full of great practical ideas and tips. 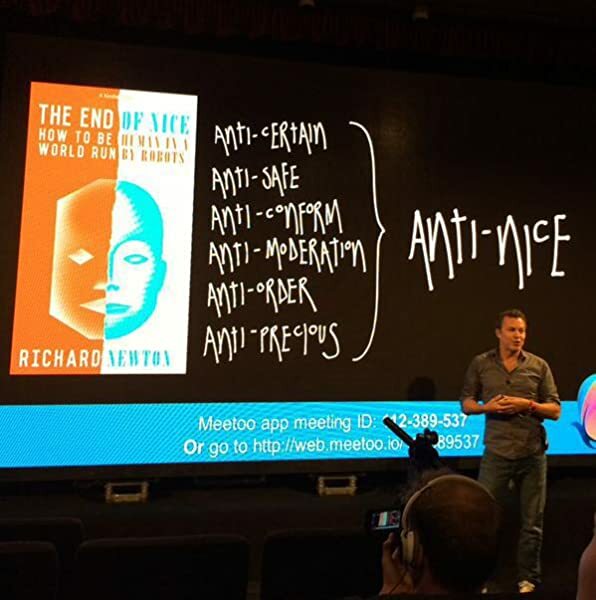 I kept having to put the book down to jot down new ideas that I wanted to implement straight away. Less than 24 hours later I have already used some of them successfully to take a new business venture to the next level. If you want to take your business, your thinking and your life to the next level then this book is a must read. I gained a lot of valuable perspective from this book. It provides frameworks, fun examples, and tools to reframe your perspective towards thinking bigger in whatever you are pursuing. I bought it for myself and 5 copies for friends as well to help them as they navigate career changes. I'm also going to re-read it this month to remind myself to keep thinking big in how I pursue projects and opportunities across all facets of life.